Owners with outboard powered boats have lived with portable fuel tanks for years, but recent well-intentioned efforts to stop smog-causing gas fumes from escaping by eliminating the familiar two-way vent is causing new concerns. Without a vent – typically a small screw type fixture on the tank’s cap or top – a portable tank can swell up like a balloon in the hot sun with the internal pressure forcing gas into the outboard where it can spew inside the cowling, eventually dribbling out. 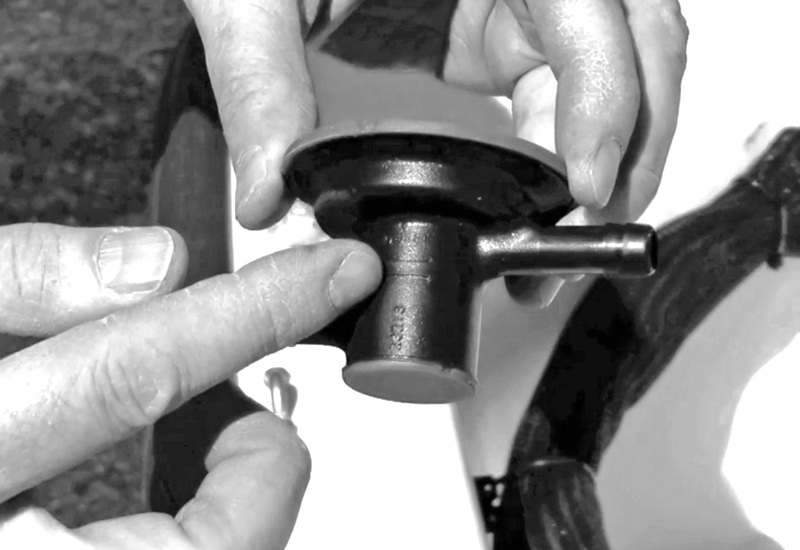 It’s a wise move to install an inexpensive fuel-demand valve in the fuel line that will prevent any gas from reaching the motor unless the motor calls for it, and BoatUS has a video and easy to follow instructions to show you how. The newest fuel portable fuel tanks require installation of a fuel demand valve and BoatUS shows you how. The video was done in partnership with the American Boat & Yacht Council (abycinc.com) and is part of BoatUS Magazine’s Practical Boater series that offers skills building, techniques and best practices to get the most out of boating. About Boat Owners Association of The United States (BoatUS): BoatUS is the nation’s largest organization of recreational boaters with over a half million members. We are the boat owners’ voice on Capitol Hill and fight for their rights. We help ensure a roadside breakdown doesn’t end a boating or fishing trip before it begins, and on the water, we bring boaters safely back to the launch ramp or dock when their boat won’t, day or night. The BoatUS Insurance Program gives boat owners the specialized coverage and superior service they need, and we help keep boaters safe and our waters clean with assistance from the non-profit BoatUS Foundation for Boating Safety and Clean Water. Visit BoatUS.com.